Prototype: Two German Railroad, Inc. (DB AG) commuter cars. 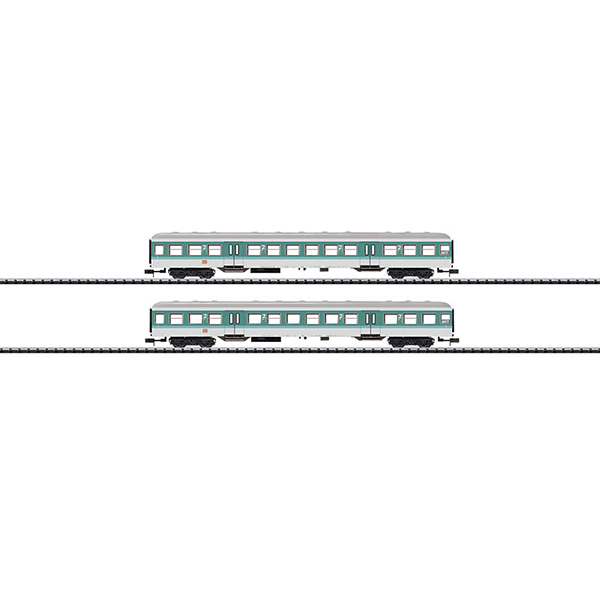 2 type Bn cars, 2nd class. Use: Regional express service on the route Kiel-Neumünster-Hamburg. Model: Model: All of the cars have close coupler mechanisms. The cars have an authentic paint scheme and lettering. Total length over the buffers 330 mm / 13". Suitable lights are the 66616 LED lighting kit.